1. High cash flow and no logical strategic buyer. Many very healthy companies do not have logical strategic buyers. One of our ESOP clients has contracts that can't be transferred due to conflicts. 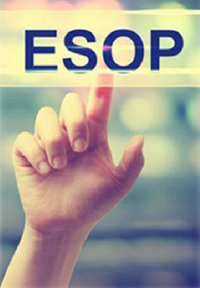 Other ESOP clients have a non- transferable royalty arrangement. Others can't novate government contracting set-aside contracts. An ESOP is often the most attractive buyer for a non-transferable cash cow. 2. Sell and keep control. Many owners cherish their identity as a business owner. Sell to a strategic buyer and you give up ownership and control. Sell to an ESOP and stay in control as the notes are paid off. Value is not all about money. Often a founder's post- sale role and responsibility is what matters most.